Sona is doing big things this year. 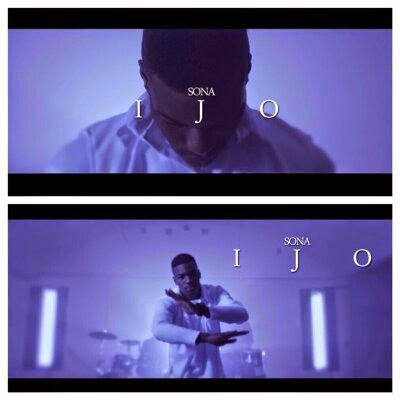 After releasing a triple threat with ‘Ijo Sona’, ‘No Wahala’ and ‘Eyy Mama’ back in March - yesterday saw the unveiling of his new video to ‘Ijo Sona’. The British-Nigerian artist has gained a lot of buzz in the recent months for his outstanding music and has received support from the likes of BBC Radio 1Xtra and Bang Radio to name a few. Sona takes on a Nigerian hall party theme, better known as an 'Owambe' party for the new video to ‘Ijo Sona’ set in London. Mixing old school musical nuances with Sona's own blend of contemporary lyrics and vocal sensibilities ‘Ijo Sona’ also pays homage to the likes of Sir Shina Peters who, with his Afro Juju sound changed the face of African music in the 90's. Director Alexx Adjei captures the impact that ‘Ijo Sona’ has on people the minute it comes on, in this three-minute visual. The video was an enjoyable one, wasn't quite sure what direction they were trying to take with the man on the toilet seat though. Produced by O.Y Beatz, watch as Sona and friends and family embrace their cultural roots in the new video to ‘Ijo Sona’ below.